The stamps of Egypt in my collection date back to 1884 - the two stamps in the left column from the bottom showing the Sphinx were issued in 1884 and onwards.This makes them one of the oldest stamps of my collection. 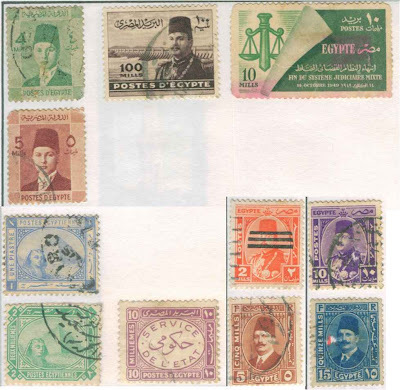 The stamps bearing head of King Fouad, called the Second Portrait Issue (above bottom right four stamps) were issued between 1927-1937. The top left stamp in this group of four stamps was issued in 1953 with the abolishing of the kingship with three three horizontal bars unceremoniously overprinted till new stamps were issued. The stamps with head of Young King Farouk (Investiture) Issue, above left column two stamps, were issued between 1937-1946. 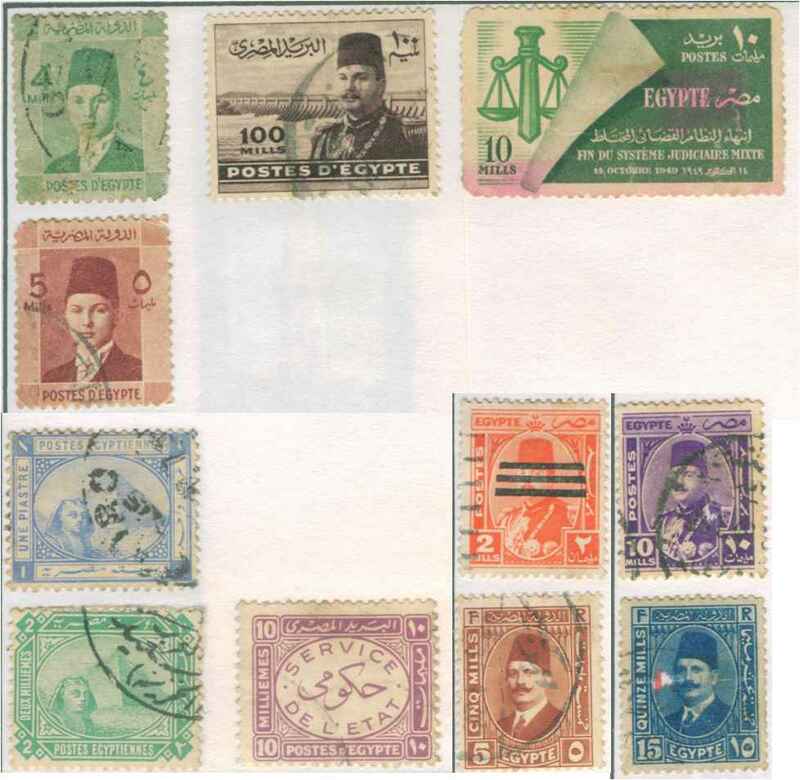 The second stamp from the left in top row is that of Farouk I, issued during the 1940s. The Service Stamp, second from the left in bottom row, was issued in 1951.